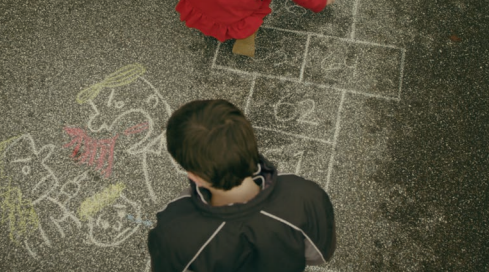 Hopscotch Trailer from Chung Wei Huang on Vimeo. ​Hopscotch is an ancient game which appears in different cultures. For me, it is fascinating to imagine the origin of the game and how it spread. In Taiwan, the shape of hopscotch is associated with the image of a house. This is the beginning of Hopscotch. I conceived the idea of a Taiwanese girl who meets an American boy, and hopscotch connects them until the moment when they need to decide if they are going to build a real home together. The film tries to explore the fusion of memory, imagination and reality. The structure is fragmented but eventually all the elements come to a whole. The story is set as a flashback. I believe that is what we see when we look back to certain critical moments in our life. The memory is scoured and altered by the present. Ultimately, that is what we really own. Hopscotch shares not only a love story, but also the difficulties that we might encounter no matter who we are, or where we are from. But the game continues, and life moves on.